Here come another Polaroid maker again. Polaroin is an online tool that can convert your photos into polaroid look with just few clicks. 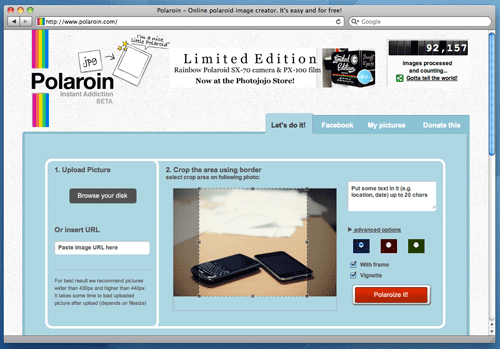 You no need to install software, just go to polaroin.com and upload your photos and choose the options and click Polaroize it!